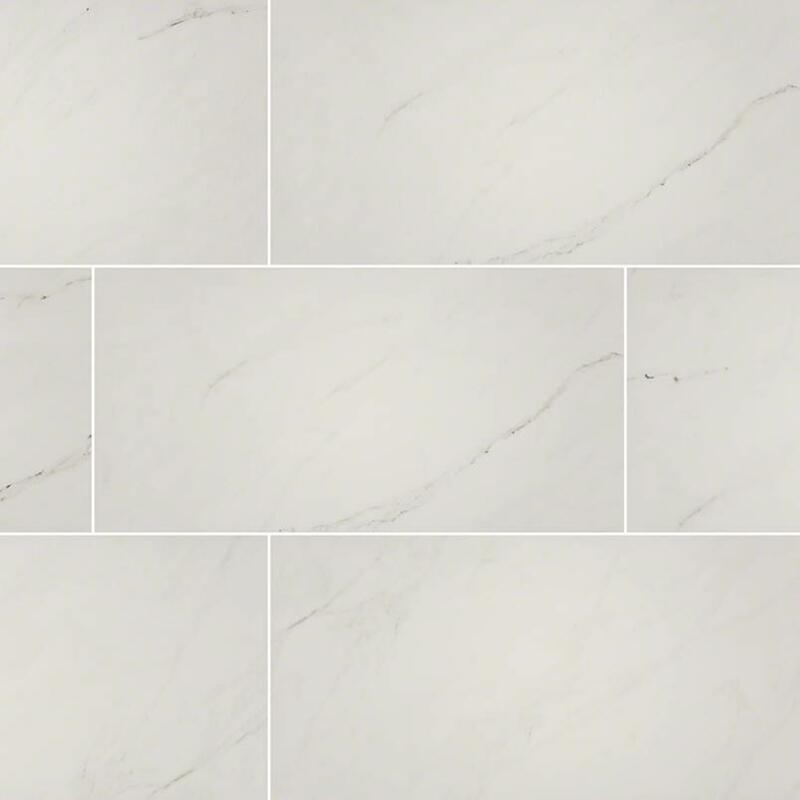 Ice Porcelain Tile from the Aria collection features whites with light gray veins, reminiscent of fine natural marble. Create stunning accent walls, shower and bathtub surrounds, floors, and countertops with the large format polished tiles. Durable, and virtually maintenance free, these porcelain tiles are suitable for homes, and commercial properties with light traffic.